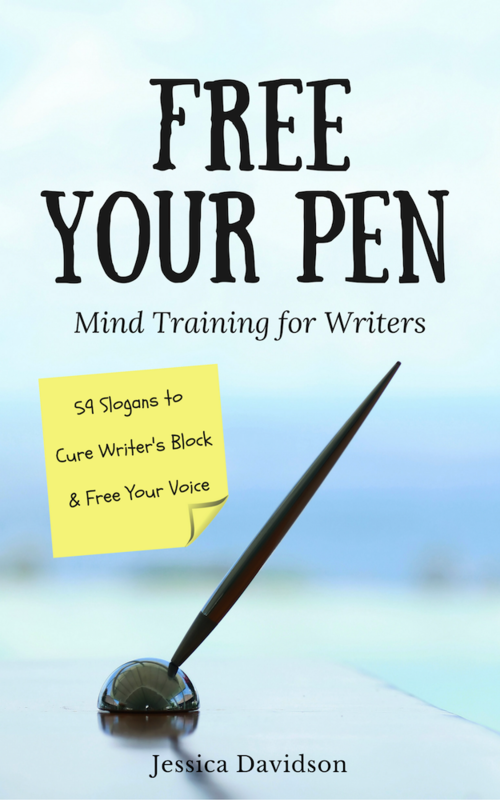 Lojong for Writers is a slogan randomiser that I created for my book: Free Your Pen: Mind Training for Writers. You can use it alongside the book (available here!) or the free extracts, or explore the slogans as part of your meditation and writing practice. My name is Jessica Davidson. I started life as a musician and sound engineer, producing demos for rock bands before ending up in a cupboard at the local council where I recorded a talking newspaper. I began to write in an effort to make sense of it all. I live in my head but you can find me in the UK.